National Frozen Custard Day is one of our favorite days to celebrate (August 8), and we couldn’t think of a better way to shout it from the rooftops than with a list of some our top 10 favorite Flavors of the Day! See if your go-to flavor made the list below. 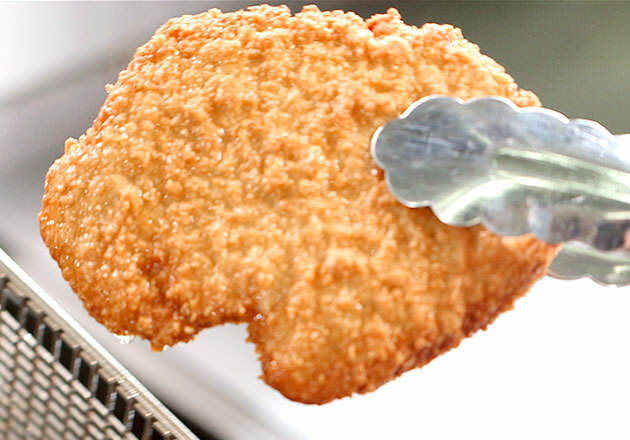 Starting us off at #10 is a Flavor of the Day with some of the most classic mix-ins, Turtle. Get lost in feelings of nostalgia with Vanilla Fresh Frozen Custard, ribbons of old fashioned salted caramel, novelty chocolate and toasted pecan pieces. 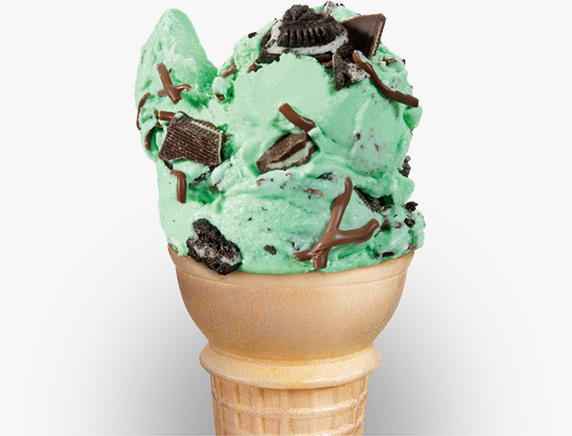 Our list just wouldn’t be complete without a taste of our specially blended Mint Fresh Frozen Custard. Exploding with Oreo cookie pieces, Andes candies and delicious hardening chocolate, this is a Flavor of the Day you just HAVE to taste. 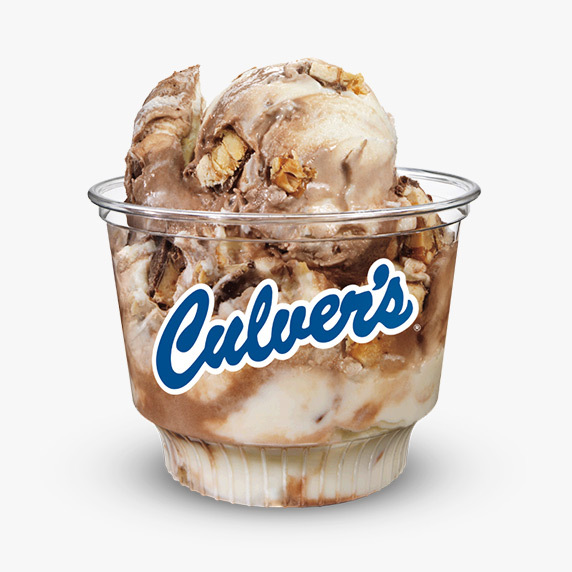 An old-fashioned favorite, this was Culver’s first EVER Flavor of the Day back in 1984. 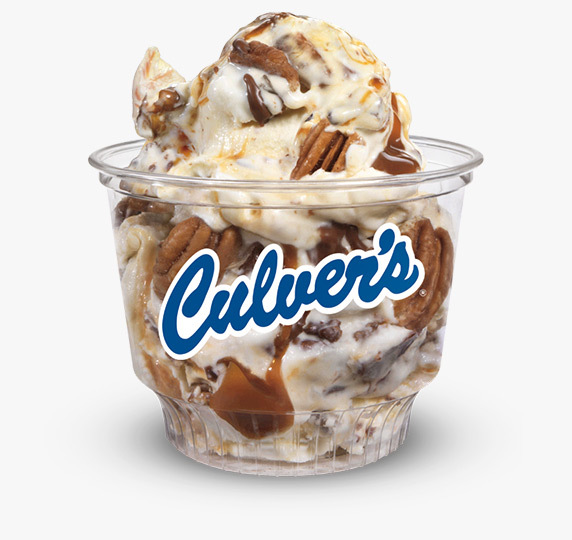 Caramel Pecan is loaded with salted caramel swirls and toasted pecan pieces, mixed together with our creamy Vanilla Fresh Frozen Custard. Who knew Fresh Frozen Custard could be so fancy? Have a taste of our Vanilla Fresh Frozen Custard mixed with velvety smooth Bavarian cream, puff pastry and streams of chocolate syrup. Did someone say cheesecake? Yes, please! 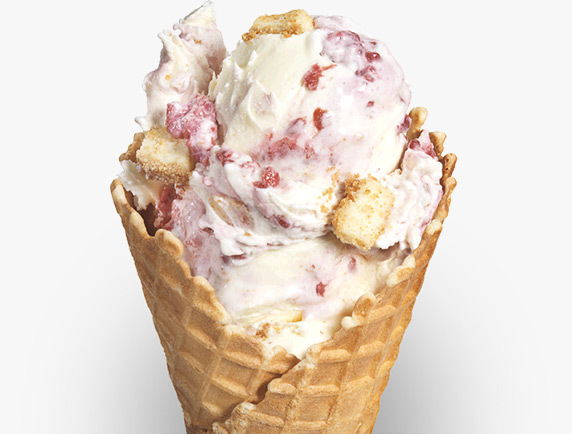 Add in raspberries and rich cheesecake pieces to our creamy Cheesecake Frozen Custard for a decadent dessert. 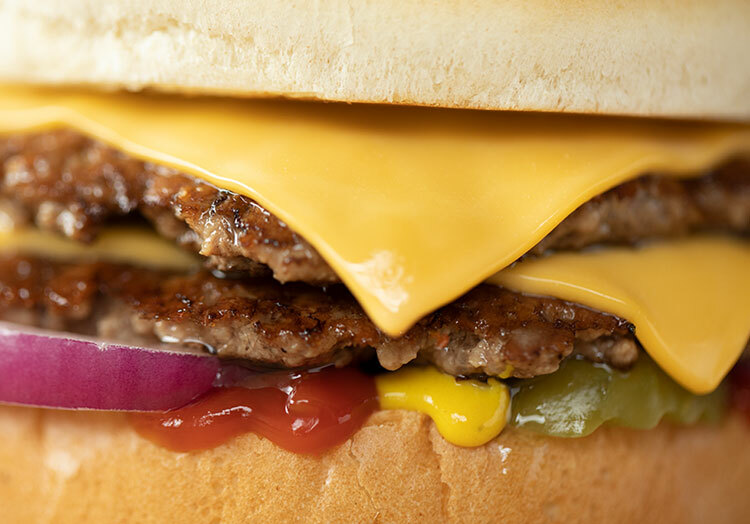 A Culver’s classic at its best! 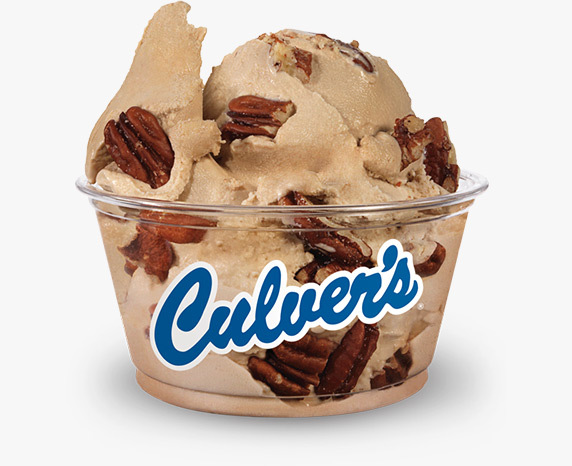 Dig into specially blended Butter Pecan Fresh Frozen Custard and toasted pecan pieces. You won’t regret it. 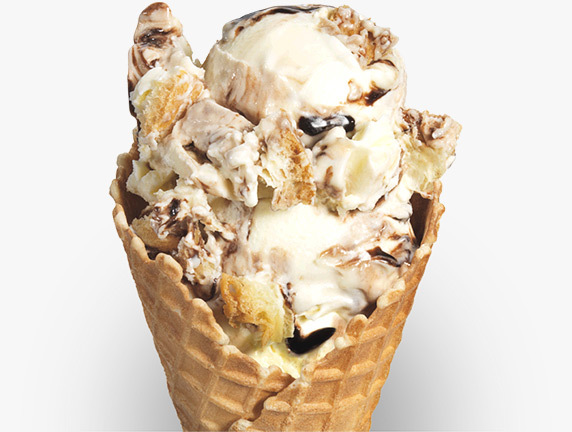 This chewy candy bar gets bumped up a notch when mixed with Chocolate and Vanilla Fresh Frozen Custard swirled together. A fun way to enjoy one of your childhood favorites in Snicker's Swirl! 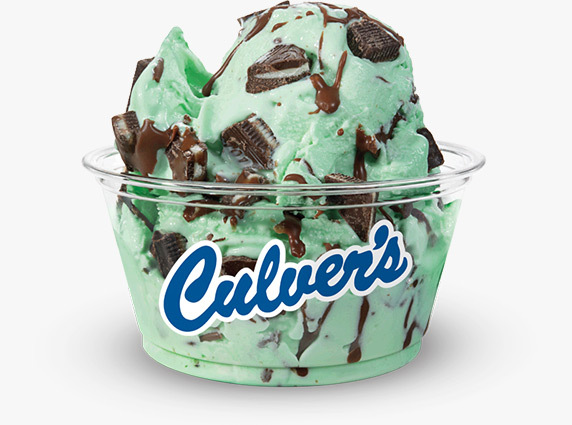 Nearing the peak of our list, this mint chocolate flavor mixes one of your favorite candies and novelty chocolate with our specially blended mint Fresh Frozen Custard. You can never have too much chocolate. 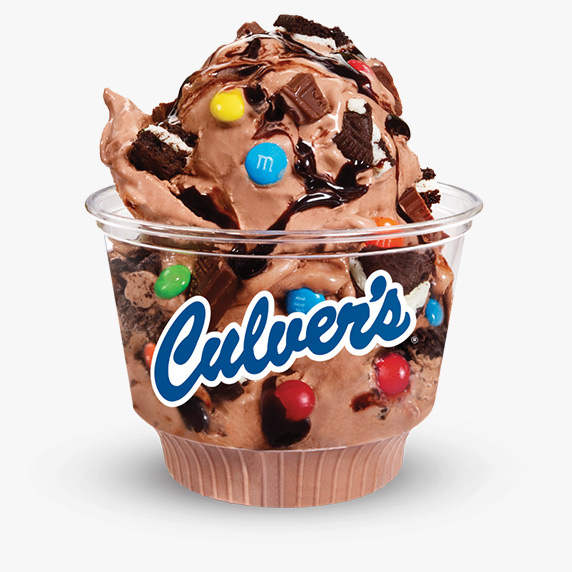 This Flavor of the Day starts with a base of Chocolate Fresh Frozen Custard mixed with Oreo pieces, chopped Hershey’s Milk Chocolate Bars, mini M&Ms and streams of chocolate syrup. 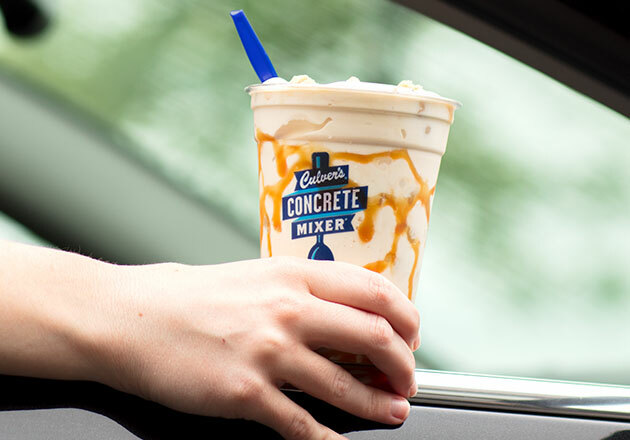 Taking the top spot is Caramel Fudge Cookie Dough! 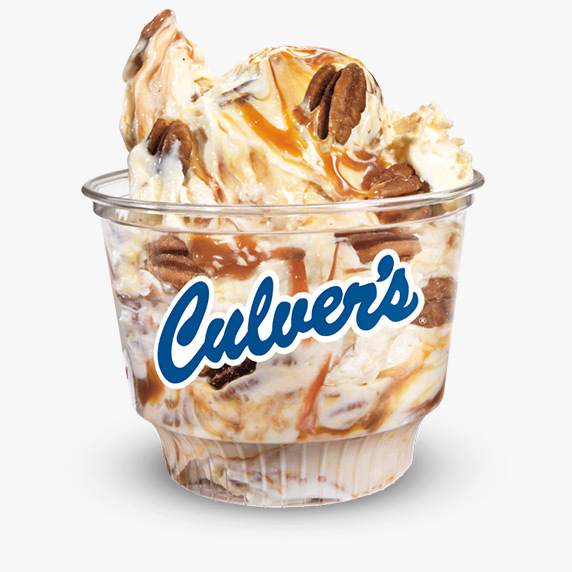 It makes for the perfect balance of salty and sweet with rich cookie dough pieces, salted caramel and thick fudge swirled together in creamy Vanilla Fresh Frozen Custard. 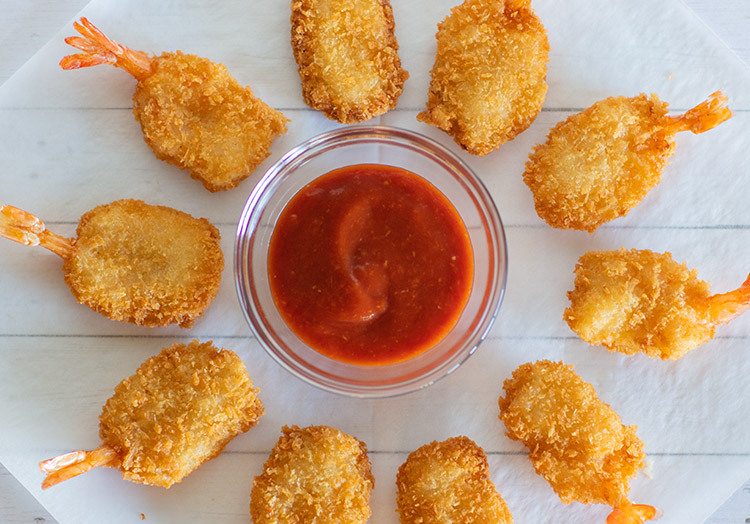 It’s a classic combination that can’t be beat. Did your favorite Flavor of the Day make the list? 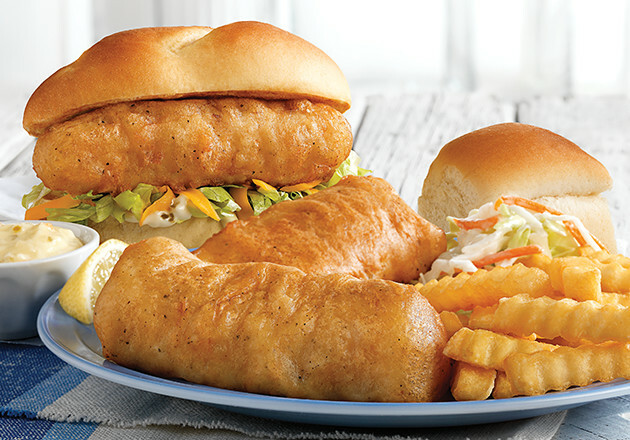 Tell us about it on Facebook or share a photo with us on Instagram or Twitter using #culvers. 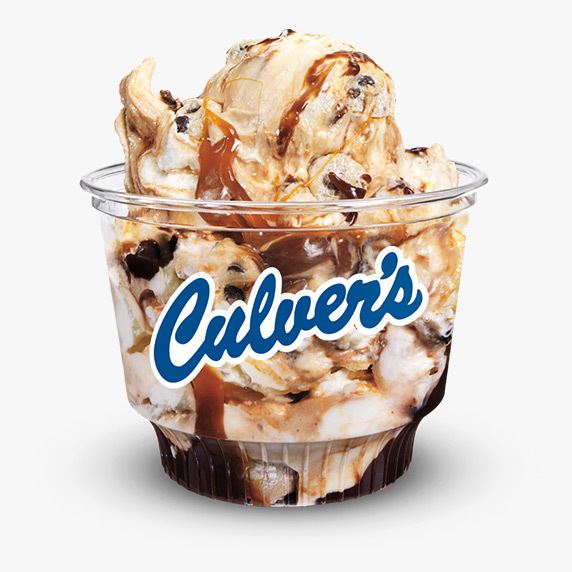 And if you’re wondering which flavor is being served up at your local Culver’s restaurant, visit here to find out! 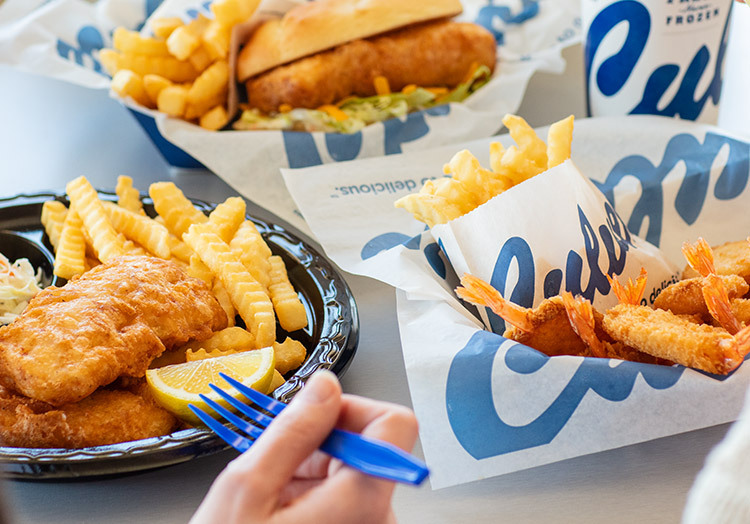 NEXT Is There a Culver’s in your State?